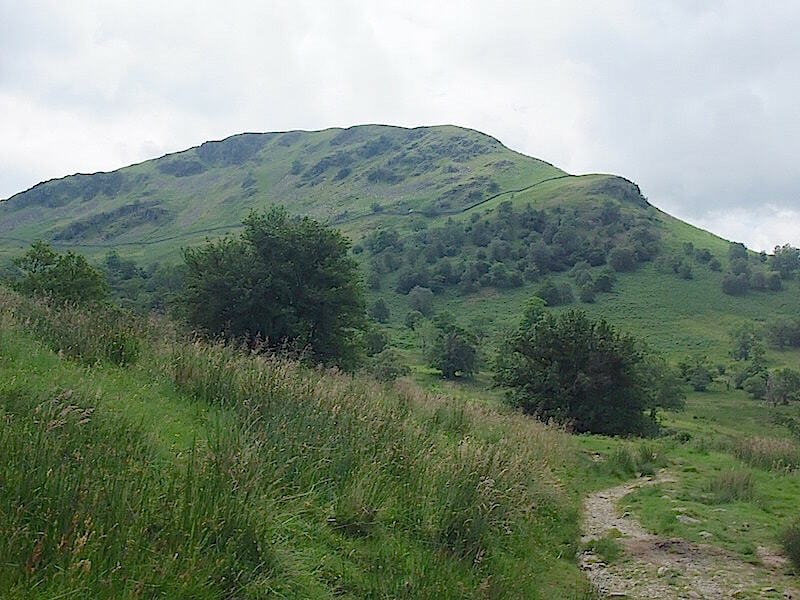 A view of Birks ahead of us as we walk through Glenamara Park. Things are looking a bit on the gloomy side but its warm enough so perhaps things will brighten up as the day goes on. 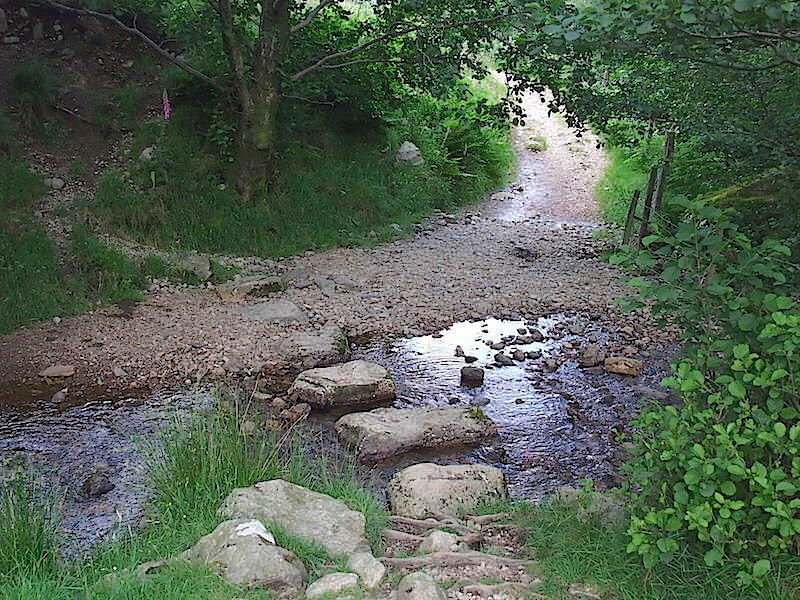 Over the stepping stones across Hag Beck. 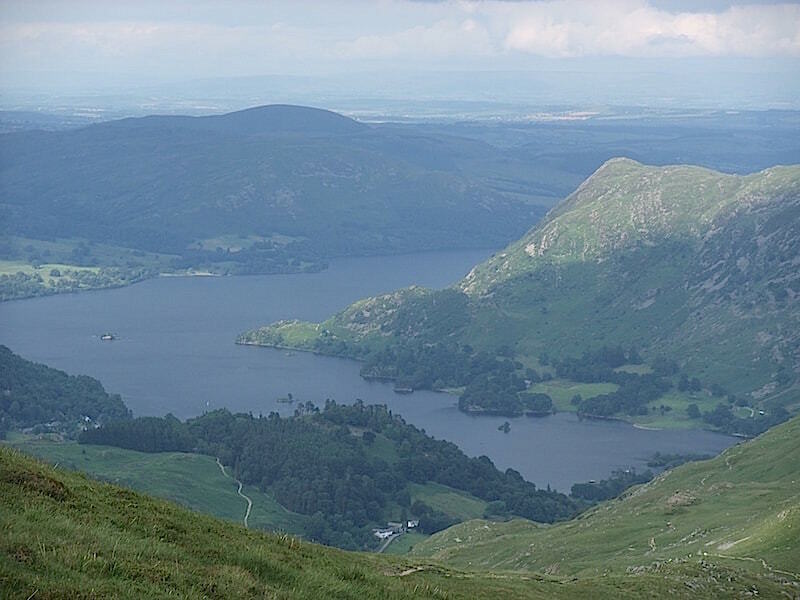 A look back to Ullswater as we begin the steep climb up Birks. 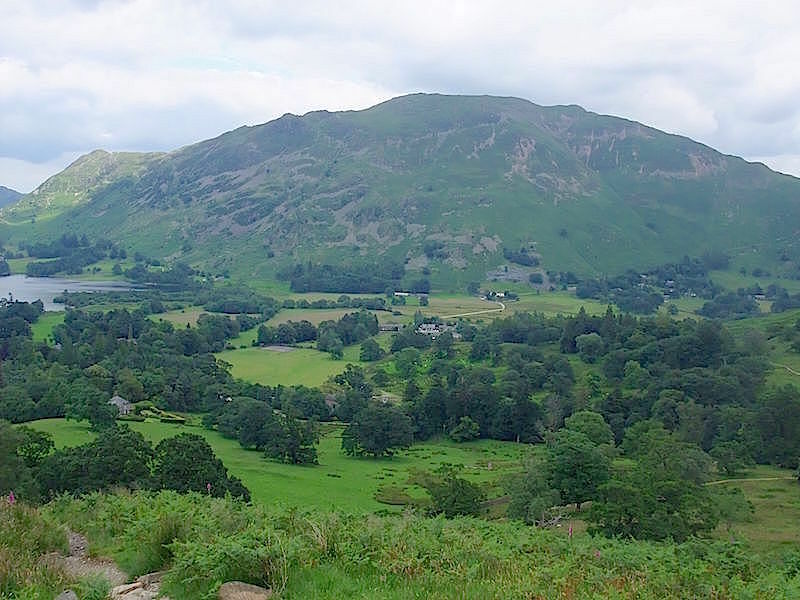 Looking across to Place Fell from the path up to Birks. 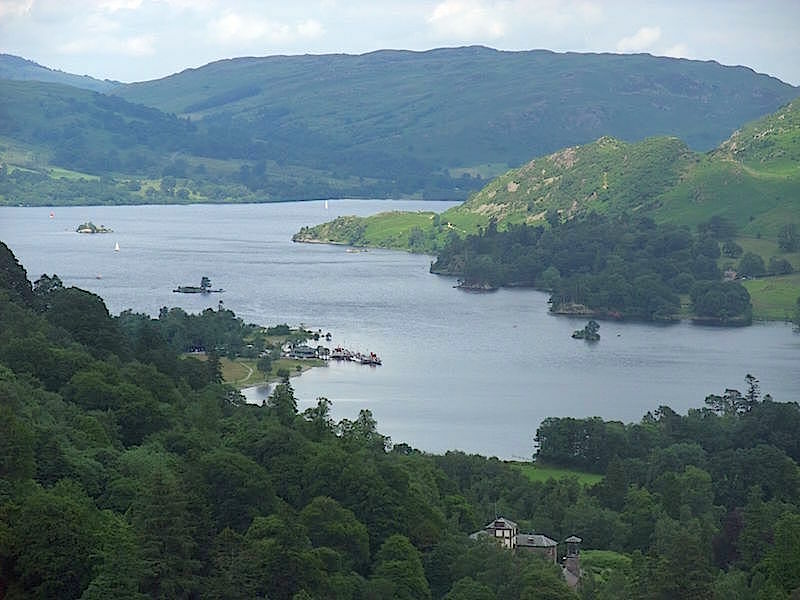 HIgher up the path and the Glenridding jetty comes into view, with a couple of ferries alongside it. 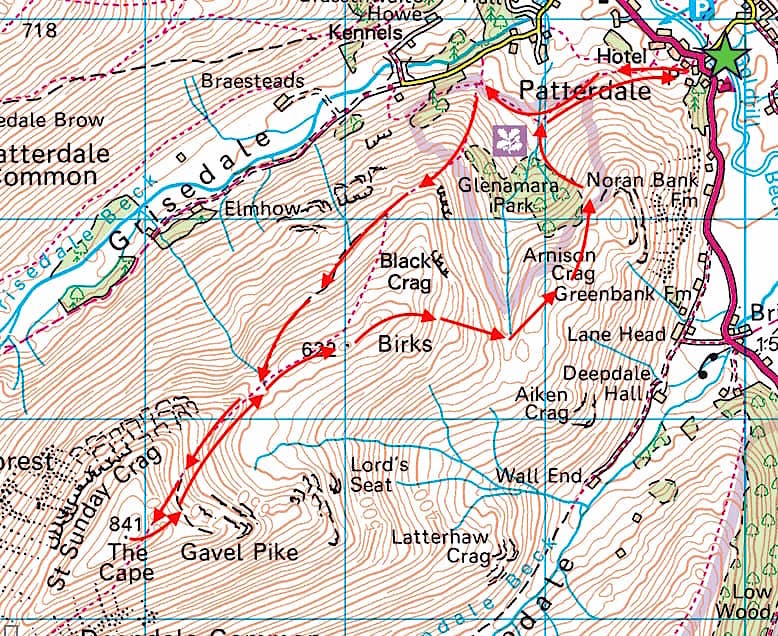 Saint Sunday Crag ahead of us, we’ve reached the path which runs along the flanks of Birks. 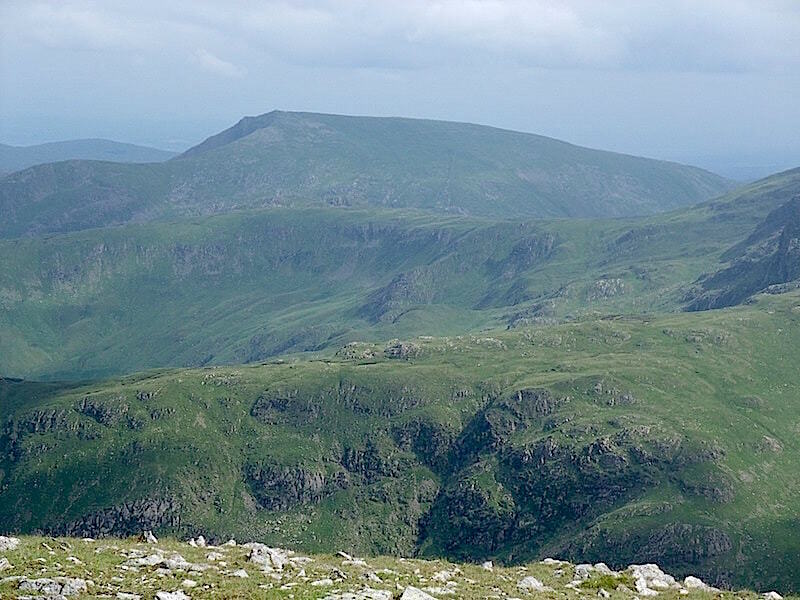 We’ll visit the summit of Birks on the way down from Saint Sunday Crag. 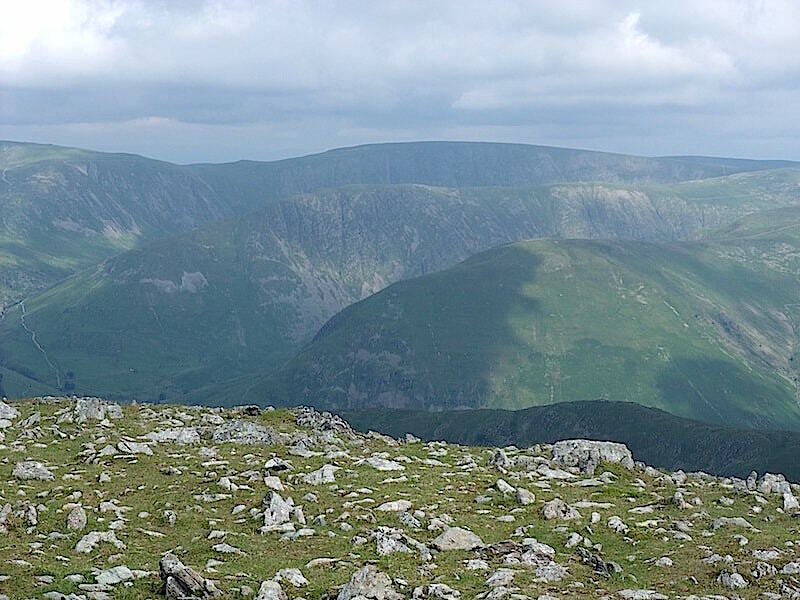 Three fells from Saint Sunday Crag – nearest is Hartsop above How, in the middle is High Hartsop Dodd, and on the skyline is Red Screes. 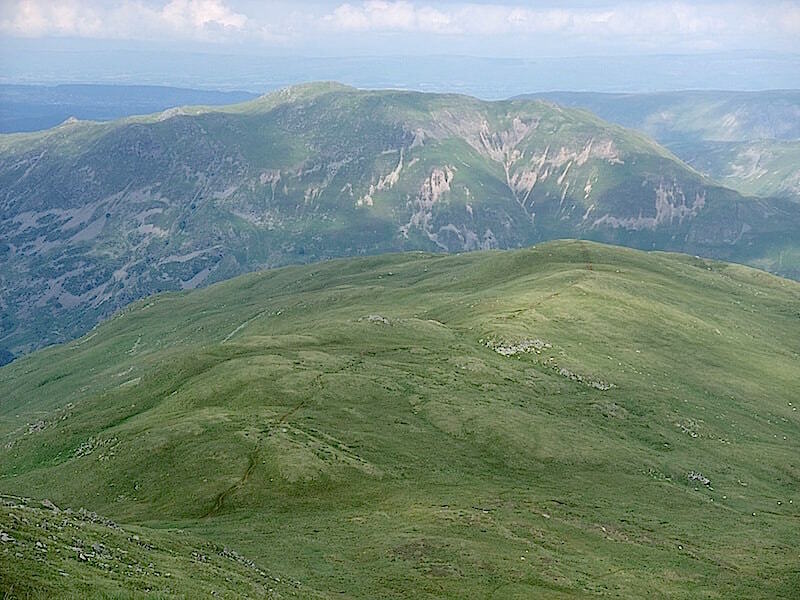 Three more fells from Saint Sunday Crag, Dove Crag on the left skyline, Hart Crag in the middle, and the nearest is Greenhow End, although that is really just an extension of Fairfield which is over on the right skyline. 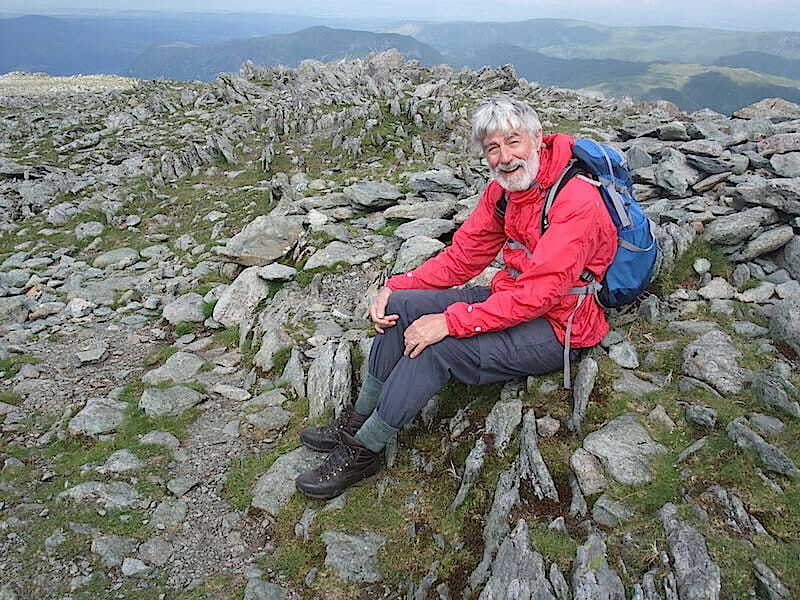 Saint Sunday Crag summit. It was impossible to get a summit cairn photo since someone with a truck load of radio equipment had stuck a huge aerial right in the middle of it. She could have chosen anywhere on the top to set things up and the radio reception would have been just the same, but no, just hog the cairn for your own selfish purposes and to hell with everyone else who has made the effort to get up here, and who wouldn’t mind having a summit photo without you and your radio equipment strewn all over it, thank you very much! 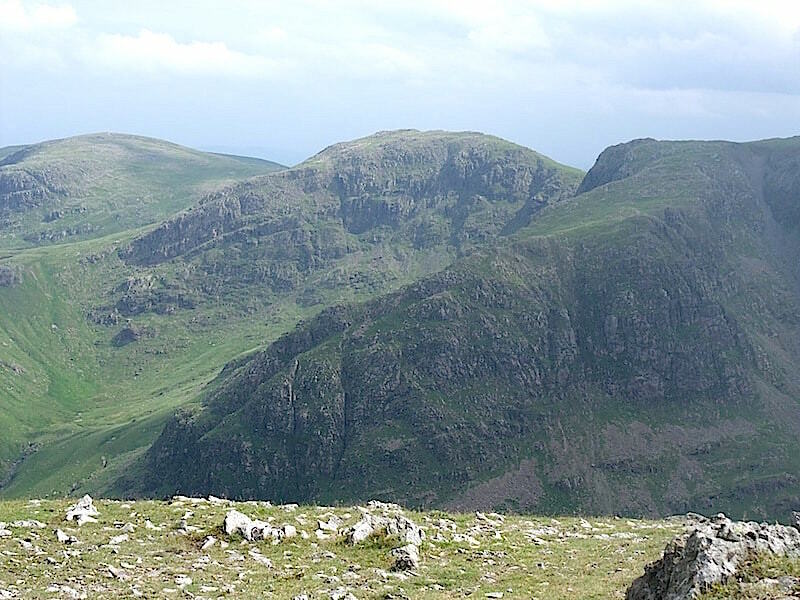 Three more fells from Saint Sunday Crag, High Street on the skyline, below that is Gray Crag and in front of that is Hartsop Dodd. 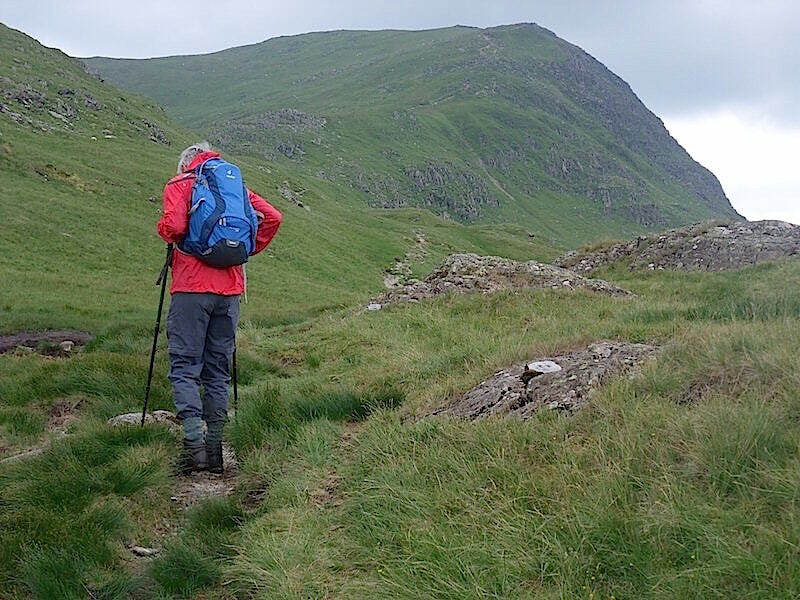 The path along Birks with Place Fell behind. 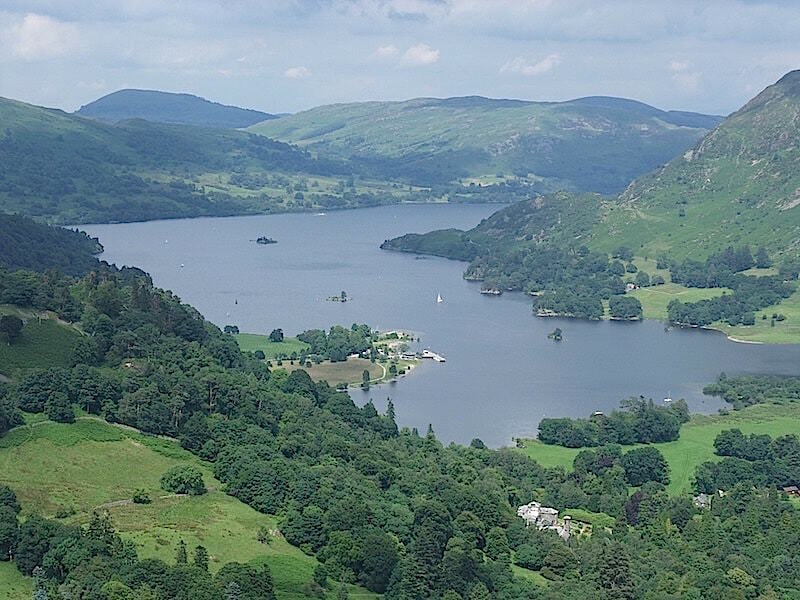 A view of Ullswater from the Saint Sunday descent path. 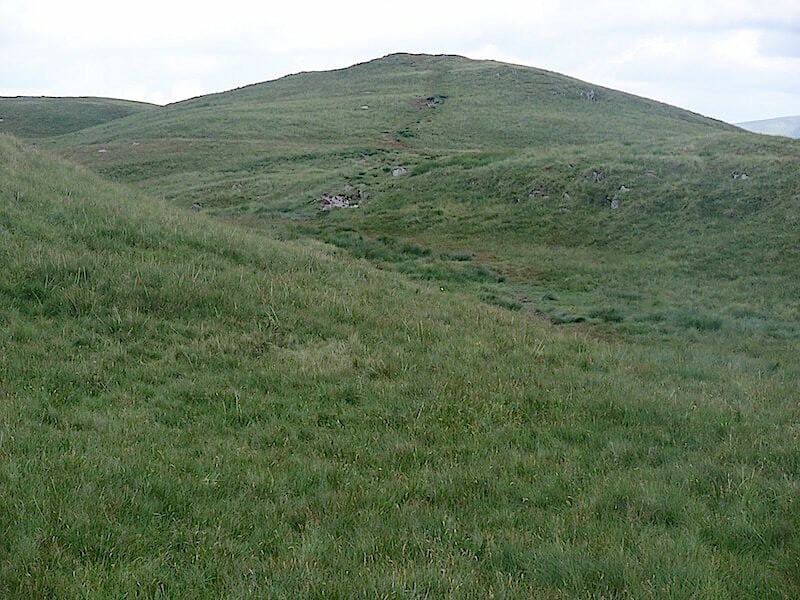 The path to Birks is going over towards the right of the shot. 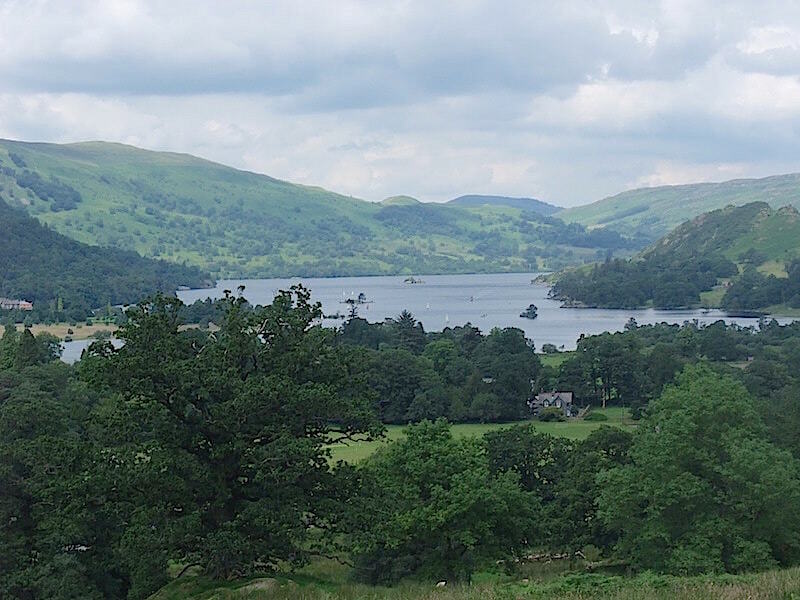 The splendid view of Ullswater as we make our way down, what a shame the cloud came over again. 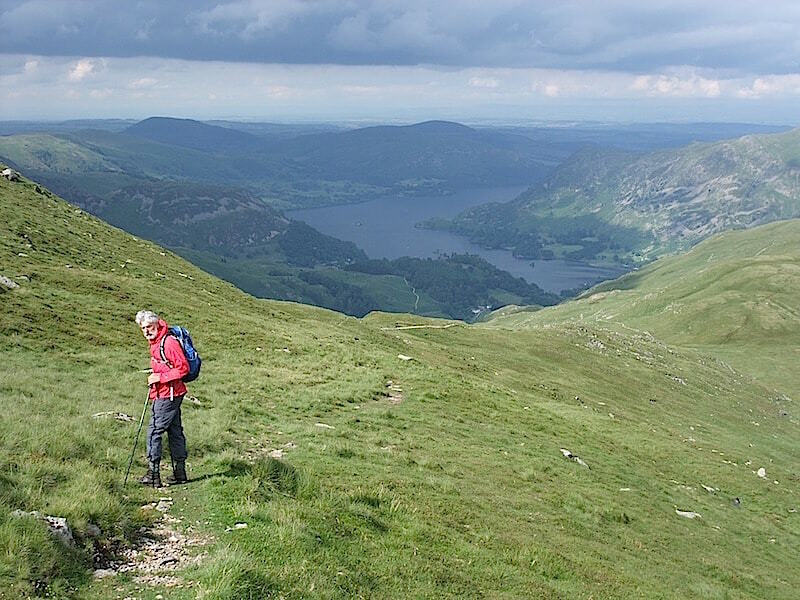 We’re down off Saint Sunday Crag and now making our way along the path up to the summit of Birks. 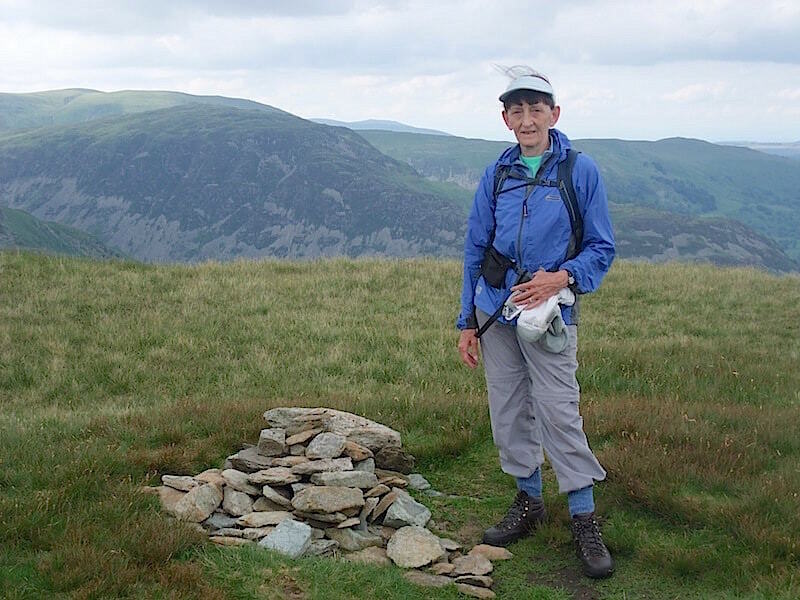 Birks summit cairn is rather a humble affair. Behind me is Sheffield Pike. 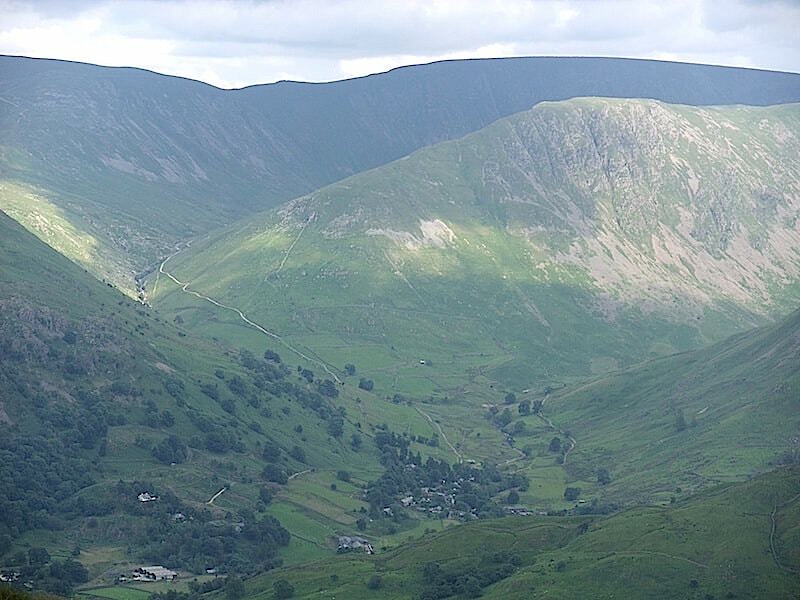 The view down to the village of Hartsop with Gray Crag behind it and High Street behind that. 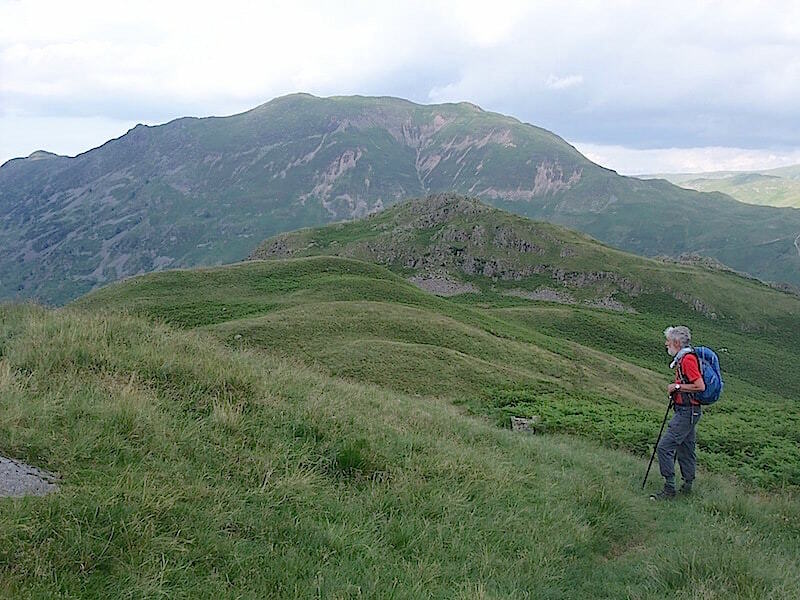 Making our way over to Arnison Crag with Place Fell behind it. I can’t remember why but this is the last shot I took on this walk and it seems a bit odd to have stopped at this point. Maybe I simply forgot.